The 2017-2018 Public Allies Mississippi cohort has been busy. 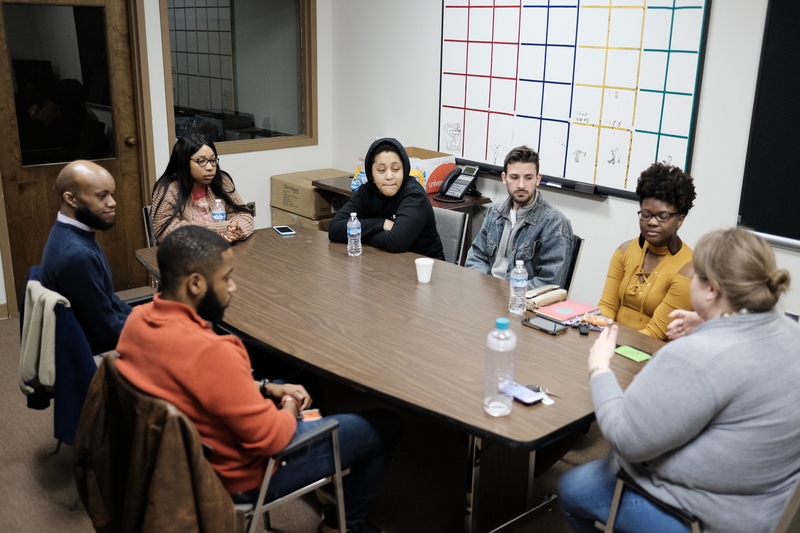 The now seven-member cohort, working in Jackson and in Oxford, meets alternating Fridays at the Foundation for the Mid South office in Jackson to reflect as a group on the work they do in their separate offices. Some interns work directly with children; others help plan health fairs. Each of them is invested in the community they serve, participating in and planning events that seek to positively impact the people around them. Most recently, they attended a Friday Forum at the Refill Café in Jackson together. Regrouping in the Foundation for the Mid South office, and energized from the presentation by City of Jackson Public Works head Robert Miller, they discussed ideas for community improvement, a conversation encouraged by their meeting facilitator. “You are the next generation. You are the torchbearers for the future,” said Martha Claire Drysdale, director of community development for Foundation for the Mid South. This is the second year of operation for the prestigious Public Allies Mississippi program, an arm of the national Public Allies program that installs young people as advocates for social change in their communities. Operating partner Foundation for the Mid South, a nonprofit that focuses on forging public and private sector collaborations to help create social and economic opportunities in Mississippi, Arkansas and Louisiana, connects these young Mississippians professionally with other statewide nonprofits and state agencies, and installs them in positions that make it necessary for them to get their hands dirty, jumping directly into the communities they want to serve in order to be successful. Though the Public Allies Mississippi interns have huge plans in their regular work days, host organization Foundation For The Mid South helps them with the day-to-day navigation of being a working adult, too. Interns get valuable guidance on necessary workplace skills, like advocating for yourself and your ideas in the office, and looking to their cohort members for collaboration on creative projects. Stay tuned for more updates on the Public Allies Mississippi interns!